The synthetic compounds that help the fabrics used in rain jackets repel moisture have an unfortunate downside: they don’t naturally break down and are far from environmentally friendly. It’s kind of the ugly secret of the performance wear world, but Columbia has finally come up with an eco-friendly waterproof alternative. PFCs — or perfluorinated compounds — are used to treat fabrics so that they repel water, instead of absorbing it. At the microscopic level, the compounds rely on an incredibly strong molecular bond to keep water out, while remaining flexible and durable enough to be comfortably worn. That molecular bond is so strong, though, that the PFCs typically used on rain jackets and other waterproof gear don’t biodegrade over time, and have been found accumulating in nature and even animals. Over the years outdoor brands have found ways to minimise the amount of PFCs they rely on to waterproof garments, and have developed better versions of them, but the alternative compounds are still far from ideal from an environmental standpoint. 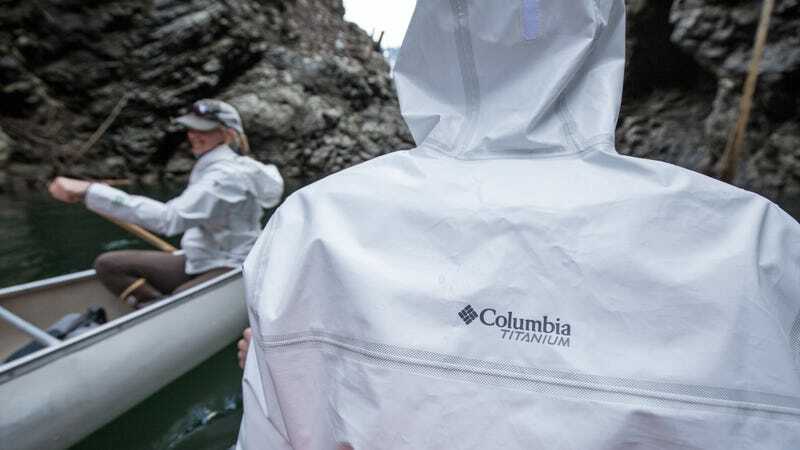 Columbia’s OutDry Extreme ECO Shell rain jacket incorporates the company’s new OutDry Extreme technology, which replaces fabrics covered in PFCs with a water-tight rubber-like membrane perforated with millions of tiny holes. Rain drops and water splashes from a wave are too large to penetrate the tiny perforations on this outer layer, but water vapour and humidity inside the jacket are able to evaporate and escape through them. As a result, you stay dry without feeling like you’re wearing a sauna. 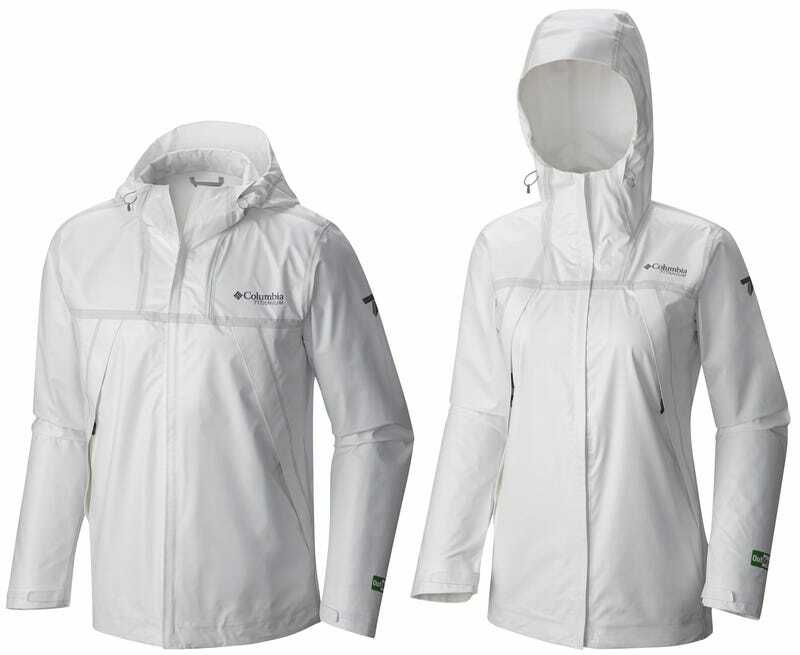 The jacket is only available in white, because Columbia doesn’t dye it, which the company said saves over 13 gallons of water per garment during the manufacturing process. The jacket is also made using 100 per cent recycled fabrics, including the plastic from at least 21 discarded water bottles.